Congratulations to Ashley Lloyd Smith who has been shortlisted as 1 of 5 finalists in the Eyelands Book Awards 2018 in the International Section. This prestigious contest is run by Eyelands.gr, literary magazine in collaboration with Strange Days Books and is the only international short story contest based in Greece featuring writers from all the continents of the world. Join Award winning writer Ashley Lloyd Smith on the first Wednesday of each month as he runs a monthly writers group for those inspired to write for the younger generation. If you’re looking to create stories for kids and young adults and needing a little bit of inspiration or wanting friendly feedback on current work, join us in QUAD meeting room. Author Ashley Lloyd Smith has been invited by the University of Herefordshire to speak to the MA Creative Writing Students about the creative and publishing process for his recently released debut novel Pizza with Jimbob & Twoforks. The novel is one of the MA students set learning texts due to its pivotal story and foresight into the current climate of division. Come along and see Ashley reading a section from his book Pizza with Jimbob & Twoforks . Award winning writer Ashley Lloyd Smith runs a monthly writers group for those inspired to write for the younger generation. We'll have a headline slot from brilliant Yorkshire-based poet and activist Henry Raby. Raised on a steady diet of punk music, his poetry is a combination of angry and unruly verse on feminism, anarchism and protest movements mixed with tender insights into community, friendship and the tricky art of growing up. Come along and see Ashley reading a section from his book Pizza with Jimbob & Twoforks that was inspired by this evening’s headliner, Henry Raby. Launch of first novel released by Liquorice Fish an imprint of Cinnamon Press. A few readings, a little signing but mostly chatting and free drinks. Catch Ashley Smith at Word Wise #25, which will take place at the Maypole Cafe, Bar & Theatre, on Friday 28th September 2018. It's officially their 2nd birthday so please come along and celebrate with some top class word-smithery! Word Wise is the concept of poet and performer Jamie Thrasivoulou Poet who will compere and run the evenings. 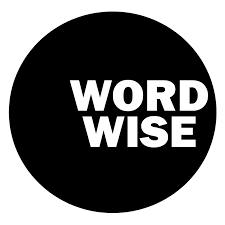 Word Wise is a spoken word and poetry night uniting the best talent from around the UK and beyond, with Derby's finest performers. This month sees Gemma Fenyn bring her words to the floor words to the floor. Longlisted from 185 entrees to the last 20, Ashley’s short story, Life’s Body was also included in Leicester Writes Prize Anthology 2018. The judging panel included highly acclaimed and award winning author McGregor. Click here to buy your copy. Each year over 600 people send in micro stories that are exactly 50 words long. This year was on the theme of loss. Ashley is featured in the Literary Friction podcast with award winning Jon McGregor and received a Runner Up prize. in the 50 Word Story Category for Last Week Of Jean. The annual Derby Reads event celebrates the launch of the 2018 Derby Book Festival programme and we will announce the winners of our 50 word Flash Fiction writing competition.